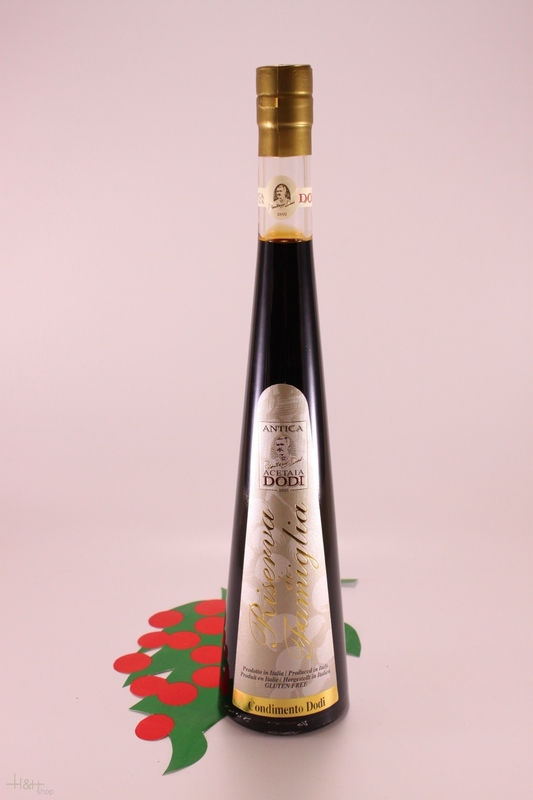 Balm Vinegar Balsamico Riserva di Famiglia Dodi Dodi Acetaia 500 ml. This 10 year-old vinegar is suited very well as a dressing for salads, dips, cooking meat and sauces. He is also an ideal companion for fish and meat dishes. The unique mark of perfume of this balm vinegar also tastes fantastic to fruit salad, ice, creams and Zabaione. Pure pork salami of the Province of Parma, produced with lean chuck, medium ground in natural casing. Maturation 45 / 50 days. Balm Vinegar Balsamico Monari Federzoni Silver label 500 ml. 5,45 EUR / 10,90 €/lt. Balm vinegar Balsamico Monari Federzoni aged Gold Label 250 ml. 10,45 EUR / 4,18 €/100 ml.